Riding a Scoota is fast becoming a popular pastime in the large central Victorian town of Bendigo. Ride events are fast becoming a popular pastime in Bendigo as locals enjoy the pleasures and benefits that scooter ownership can bring. 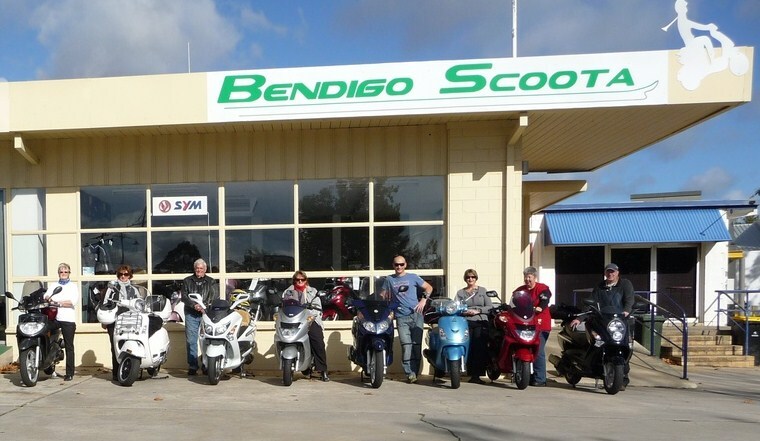 Bendigo Scoota, an SYM dealership in the heart of Bendigo, is the first totally dedicated scoota shop in the area. 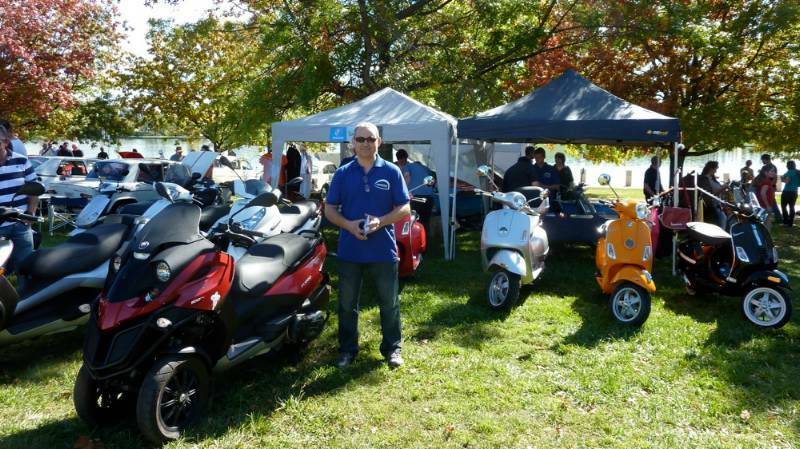 "It's great that there's a growing scoota group in Bendigo, we ride every Sunday" said Steve from Bendigo Scoota. 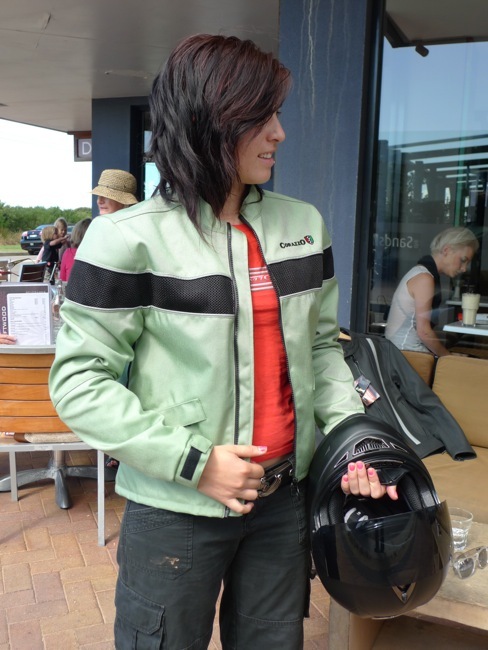 "Two weeks ago nine scoota's rode to Ocean Grove on the Friday and then tackled the Great Ocean Road on the Saturday. An absolute ball was had by all". 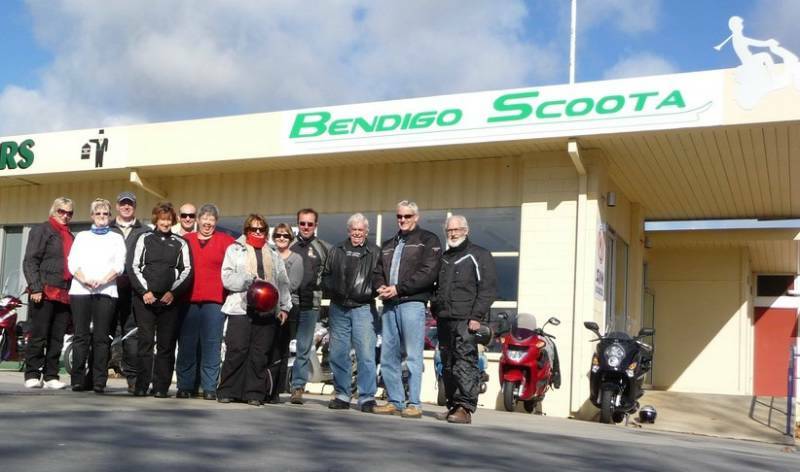 Steve went onto say, "Last Sunday Bendigo Scoota sponsored the ride with a lunch at Heathcote, the photo's you see were taken before they left". Ride and try days are regularly held at Bendigo Scoota so if your in the area get in touch with Steve. 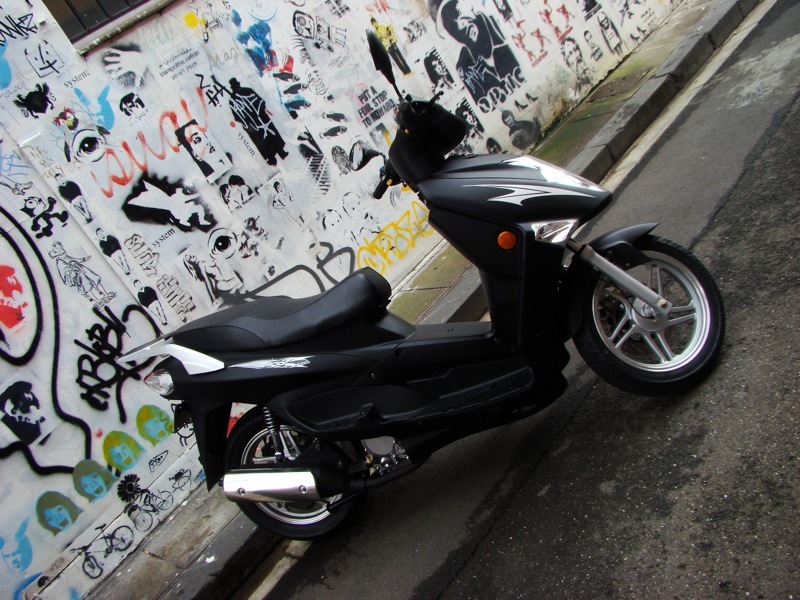 Bendigo Scoota is located @ Unit 2, 153 Lyttleton Tce, Bendigo. Phone them on (03) 5441 3... (03) 5441 3995. Introducing the new GTS 300 "Super Sport" and the sensational GTV 300 "Via Montenapoleone". 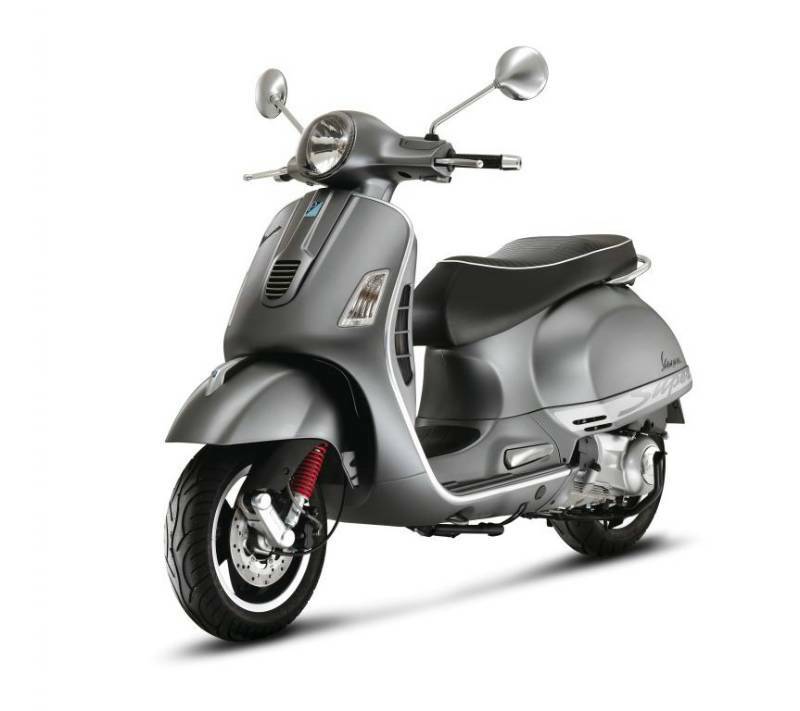 Vespa have just announced that two exciting new Vespa models will be available in the later part of 2010. 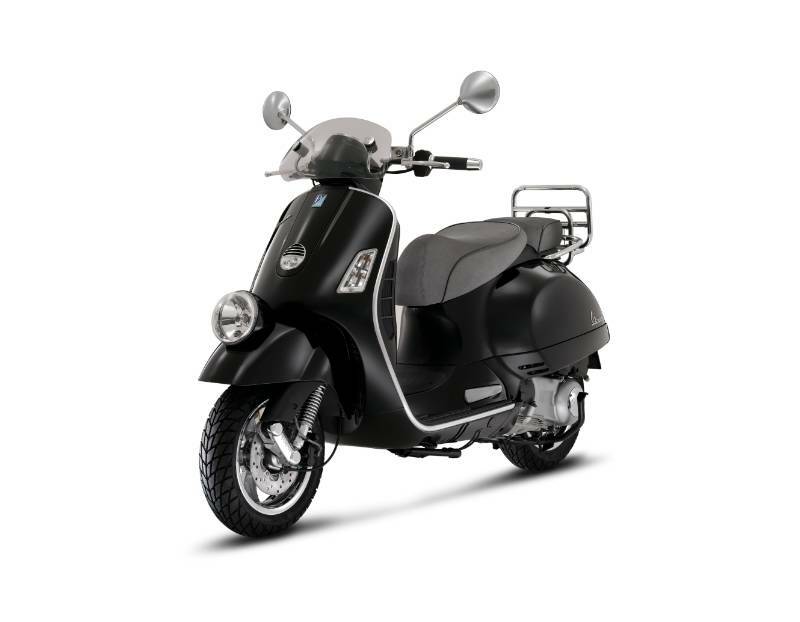 Vespa Italy Press Release 300 "Via Montenapoleone"
The GTV 300 "Via Montenapoleone" and GTS 300 "Super Sport" are both limited production models, so get into your authorised Vespa dealer and order now to avoid disappointment. GTV 300 - "Via Montenapoleone"
The new GTV 300 stirred the interest of Vespa follower's world over when first shown at EICMA in Milan in 2009. The new GTS 300 Super Sport takes the sporting pedigree of the GTS 300 to the next level. The Classic Vespa name of 'Super Sport' is fittingly recalled for this uniquely sports orientated Vespa. Enhanced styling features and 300cc performance will guarantee that the Super Sport stands out in any crowd. Motorini Canberra holds a Piaggio, Vespa, Gilera ride day Saturday May the 1st, 2010. Book your test ride today. What is May the 1st 2010? This is the day that Motorini Canberra is holding its very own ride day showcasing the latest from Piaggio,Vespa and Gilera. Been wanting to test ride the new Vespa GTS 300 Super or the amazing new X7 300i EVO? Ever wanted to take a long relaxed test ride on the three wheeled MP3 or Fuoco? 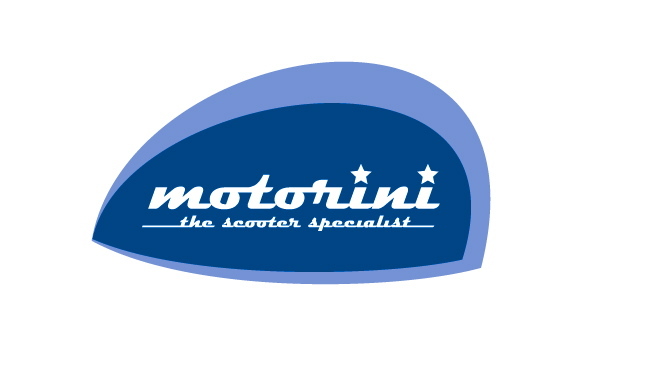 Well now you can as the Importer demo fleet will be at Motorini this Saturday, ready to ride betweem 10am and 3pm. If you just want to browse then that's OK, just drop in and say "Hi" to Nico and you can go into the draw to win a Vespa prize pack. If your not in the vicinity then its a great excuse to get on down to the nations capital for a great day out. Corazzo expands its dealer network across Australia. Now with 14 fashion outlets nationally. Off the back of introducing the all new 2010 range of jackets, Corazzo have been busy appointing a whole host of new dealers nationally. Its always nice to be able to "try one on for size" and now you can with 14 dealers spread across this vast nation of ours. 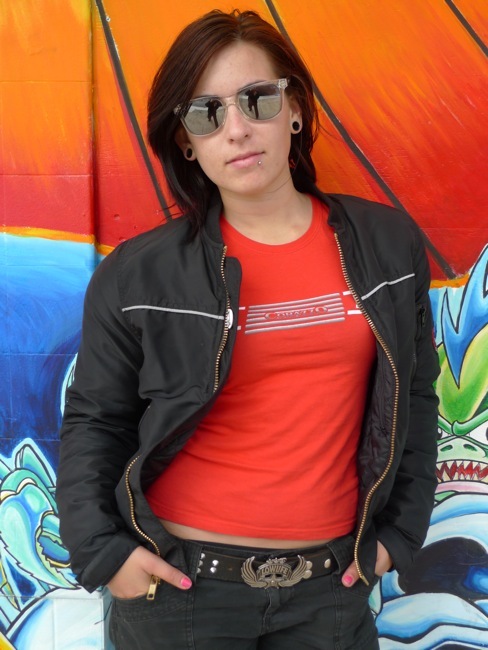 Corazzo jackets are best known for their technically innovative, rider focused features. 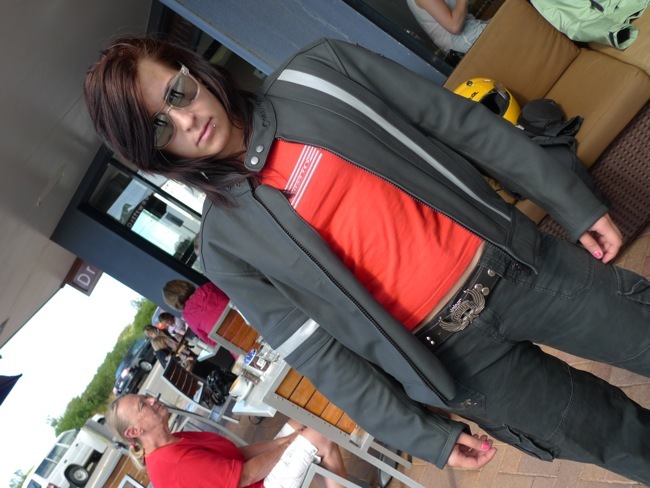 The American based company prides itself on creating an added level of safety and protection, all whilst looking good. Sachs, TGB and Mojo Scooters all showing positive growth for 2010. Taiwanese scooter manufacturer, TGB, strengthened its position in the Australian scooter market recording an increase of sales and market share for the first quarter of 2010. The 27.7% growth in sales over the same period last year was achieved in an overall declining motorcycle and scooter sales market. A total of 143 retail sales were recorded for the first 3 months of 2010, compared with 112 for the same period last year. The result demonstrates continuing consumer support for the popular TGB 101S model. 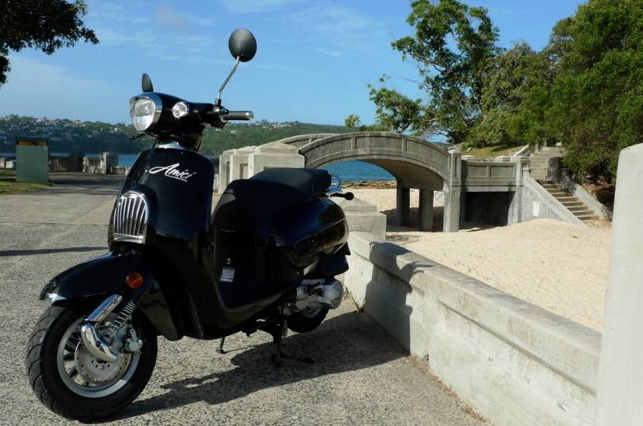 The 50cc 101S is the ideal hassle free entry level scooter featuring easy to operate ‘twist and go’ fully automatic transmission and low running costs. Also reflected in the result is a shifting consumer sentiment towards the TGB brand – a brand they can trust in trying economic times. 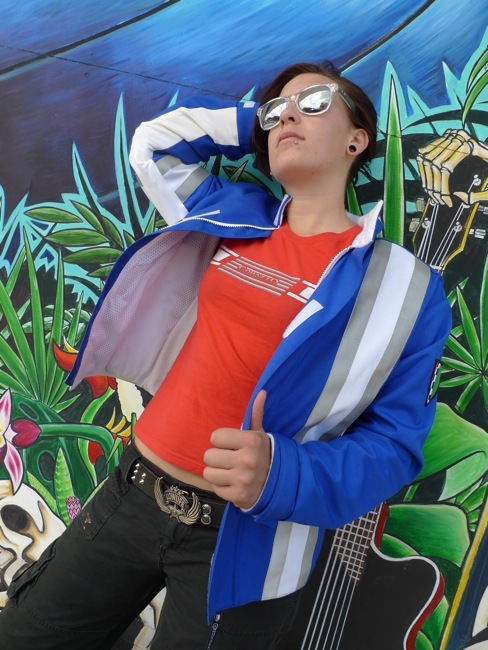 Having held a presence in the Australian scooter market for over ten years, TGB continues to reaffirm its reputation for quality. While other manufacturers are increasingly turning to Chinese manufacturing in a bid to decrease costs, TGB continue to have 100% of their models manufactured on-site at TGB’s Taiwanese manufacturing facility guaranteeing superior quality. TGB’s positive sales growth is predicted to continue supported by the launch of new models and increased marketing activities. 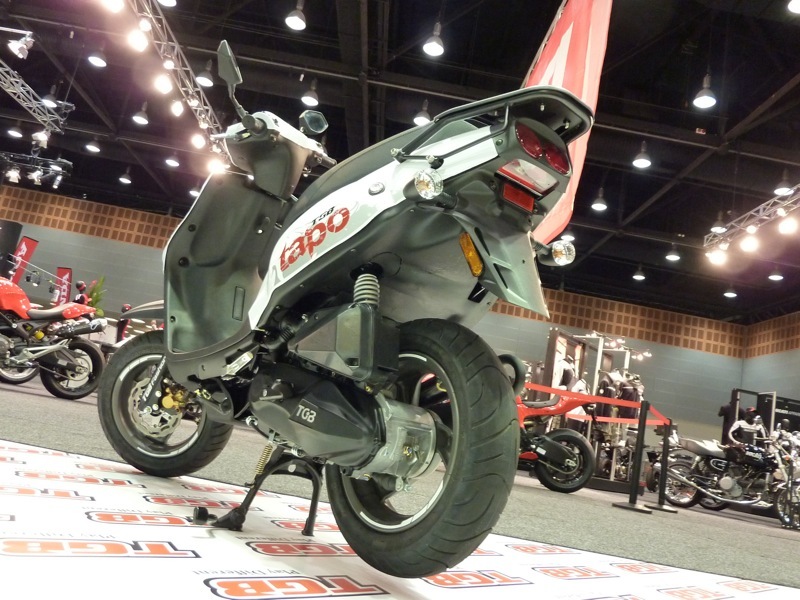 The TGB Tapo, launched earlier this month, is a new euro-styled 50cc entry level scooter which will work to complement the current 101S model. The sporty TGB Bullet 125cc has been reduced in price to $2990 (plus on road costs) in an effort to offer TGB customers even more value for money and will place the Taiwanese built Bullet in a price bracket currently occupied by Chinese manufactured scooters. Sachs Bikes, the German motorcycle and scooter manufacturer, continues to grow its market share through its vibrant and stylish range of entry-level products, according to motorcycle and scooter sales data released by the FCAI for the first quarter of 2010. The data recognizes Sachs Bikes as one of the strongest performers, showing a 389% sales growth over the same period last year. The German brand recorded a strong total sales figure of 264 units compared with 54 for the same period last year. The positive results can be attributed to a revitalised product line-up lead by the popular Sachs Amici. 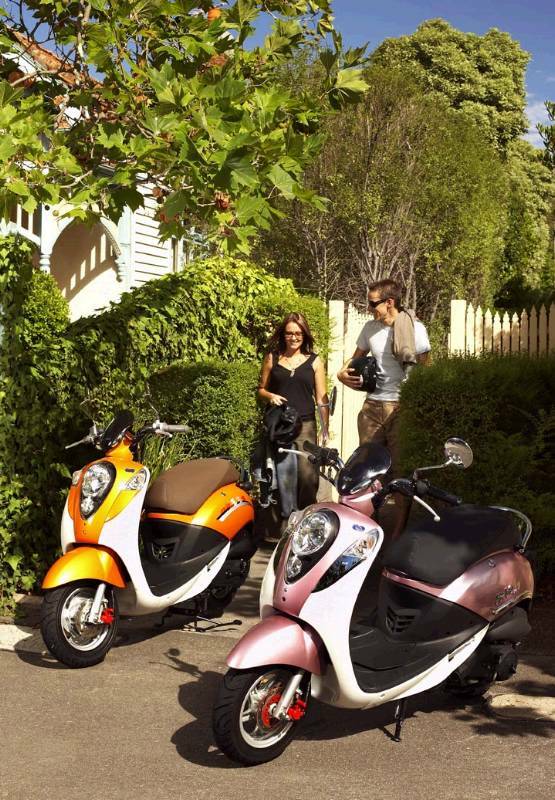 The 125cc Amici, launched at the end of 2009, has already cemented itself as the second highest selling scooter in Australia. Its mix of iconic retro design and modern features, along with its value oriented price has resonated well with consumers. Growth has also been driven by increasing demand for the Sachs Madass. The Madass, available in either a 50cc or 125cc variant, is a unique mix of art, scooter and motorcycle which is demonstrating increasing appeal to the market. Sachs Bikes have indicated they expect to remain as one of the industry’s top performers for the remainder of the year. Continued sales growth will be driven by a strengthening demand for both the Sachs Amici and Sachs Madass models in addition to the introduction of new variants and models. The Sachs Madass is now available in an increased number of colors’ with ‘blood red’ added to the options list. Later in the year a new learner approved motorcycle is expected to be released to complement the current Sachs Express offering. Mojo Scooter Co. jumps out of the gate…. Mojo Scooter Co., the newest and funkiest scooter brand in Australia, has reaffirmed its position as a brand on the rise following the release of motorcycle and scooter sales data for the first quarter of 2010. The dynamic new brand which offers a range of fun, fashionable and hassle free commuters recorded a strong sales figure of 111 units for the first three months of 2010. This positive result represents strong growth with the brand and its product range only having been launched into the Australian market in 2009. Much of early success the brand has enjoyed can be attributed to its unique product offering which is headed by the Mojo Scooter Co. RT 150 and the Mojo Scooter Co. GTiR 150. Both the RT 150 and the GTiR 150 utilise a liquid cooled, electric-fuel injected engine and offer unique styling, safety and performance features at a value oriented price. 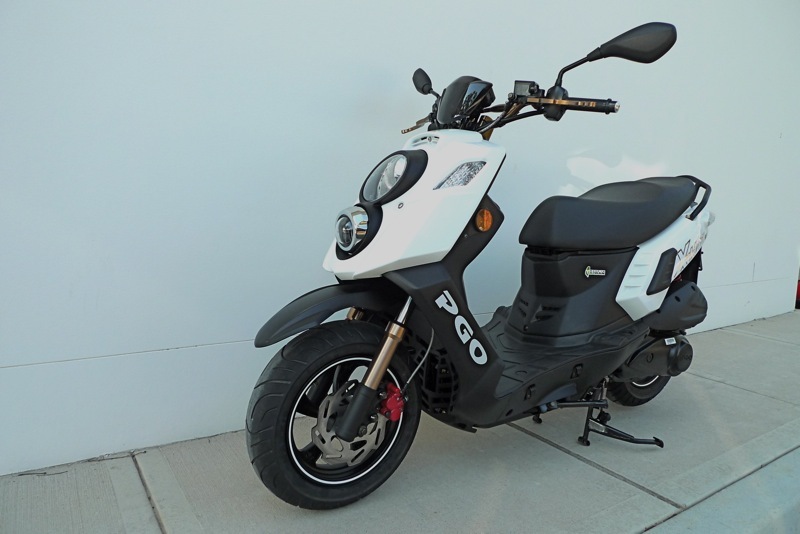 The Mojo Scooter Co. GT50, an entry level which ticks all the boxes, has been a popular with consumers in those states with ‘LA’ licensing laws. The Mojo Scooter Co. expects positive growth to continue on the back of improved economic conditions and the introduction of a new model. The Mojo Scooter Co. V5, a cruiser bike with fully automatic transmission, was launched early this year and has proven to be popular with consumers. 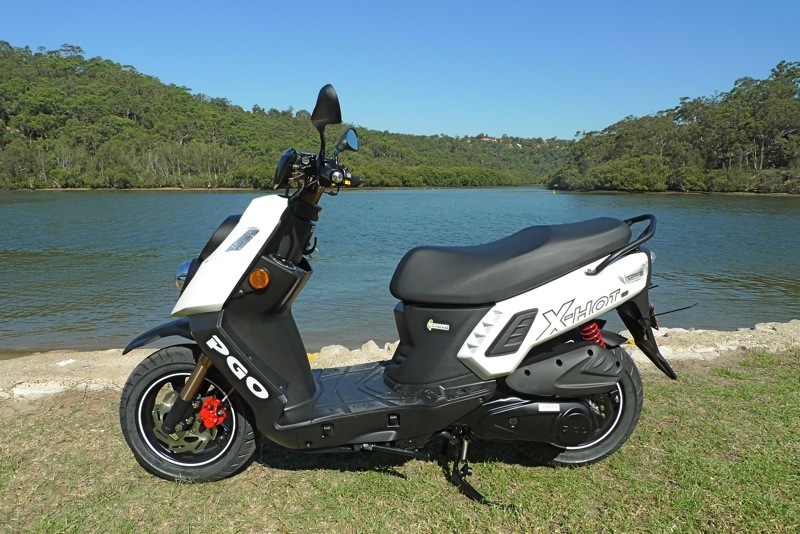 The 250cc V5 is completely new for the Australian market, offering a unique blend of modern cruiser styling and scooter like operation. TOKYO, Japan, April 13, 2010 - Honda Motor Co., Ltd. revealed the latest prototype of the EV-neo electric scooter and announced plans to begin lease sales in Japan in December 2010 to businesses and individual business owners that provide mainly delivery services. 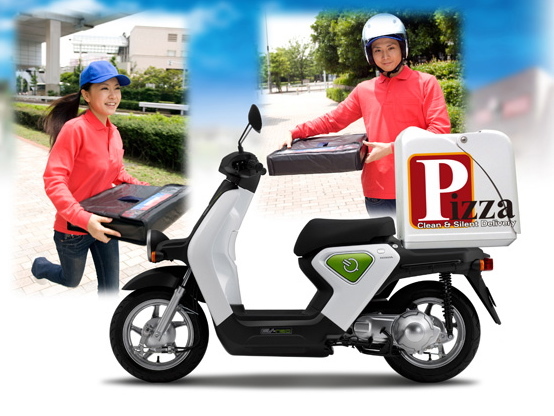 Honda developed the EV-neo, an electric scooter designed to provide the durability necessary for commercial use, envisioning a wide range of uses by businesses such as delivery services. Equipped with a lithium-ion battery and a brushless motor, EV-neo realizes excellent environmental performance with zero CO2 emissions in use. The battery is rechargeable using a household power source with attention given to the range per charge. 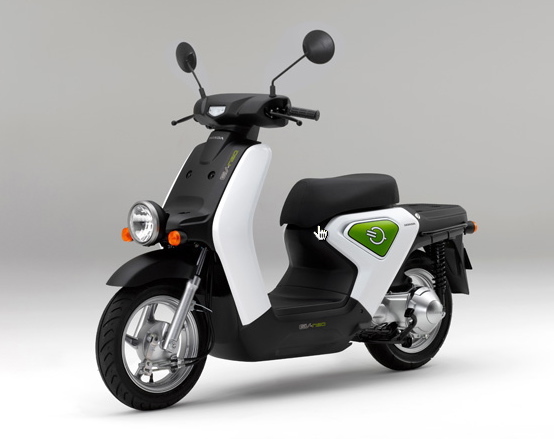 Moreover, EV-neo provides performance equivalent to that of mass-market under-50cc gasoline engine motorcycles realizing a powerful ride even with cargo by leveraging the characteristics of a high-torque motor even at a low speed ride. Under the key words of "quiet and clean" Honda held the world premier exhibition of the EV-neo concept model (under the name EVE-neo) at the 41st Tokyo Motor Show in 2009 as one of Honda's new-generation personal mobility products which will contribute to the realization of a low-carbon society while transporting people and cargo. The mass-market model of EV-neo is currently under development. Honda will continue providing products with excellent environmental performance to more customers in order to contribute to global CO2 emission reduction efforts. Auto Italia 2010 takes place this weekend in our nations capital. For all things Italian head to Canberra this Sunday. Auto Italia Canberra is an annual display of Italian cars, motorbikes and scooters promoting Italian automotive machinery. The display has been held on a continuous basis since the early 1980s, and it attracts considerable entrant and spectator interest from within the ACT and from interstate. Auto Italia Canberra 2010 will be held on Sunday, 18th April 2010 between 10.00 am and 2.00 pm. The location of Auto Italia Canberra 2010 is on the the Patrick White Lawns in Parkes. This is an open grassed area between the National Library of Australia and Lake Burley Griffin. It is very close to various national institutions including the National Science and Technology Centre (Questacon), National Portrait Gallery, the High Court of Australia, National Archives of Australia, the National Gallery of Australia, and the National Library of Australia. If you cant make it then check back Monday for a gallery of the event. 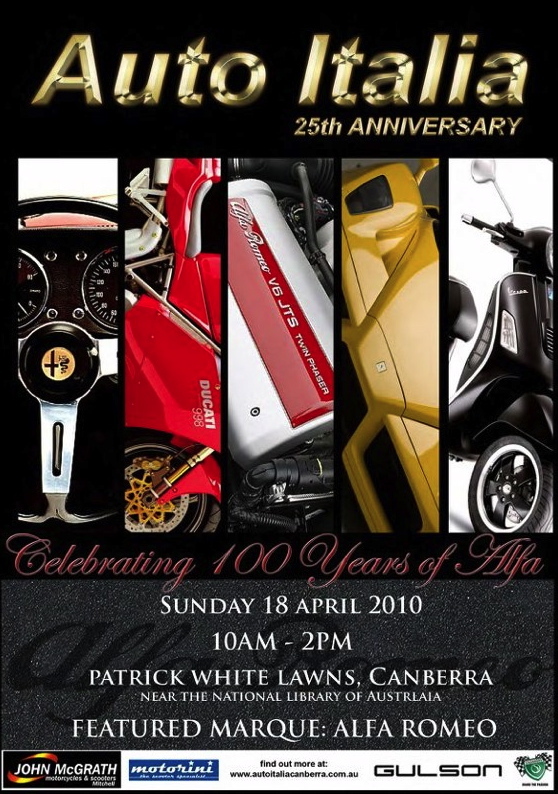 Scootersales.com.au will be attending this years Auto Italia 2010. PGO creates a premium scooter for those that want to look a step above the norm. 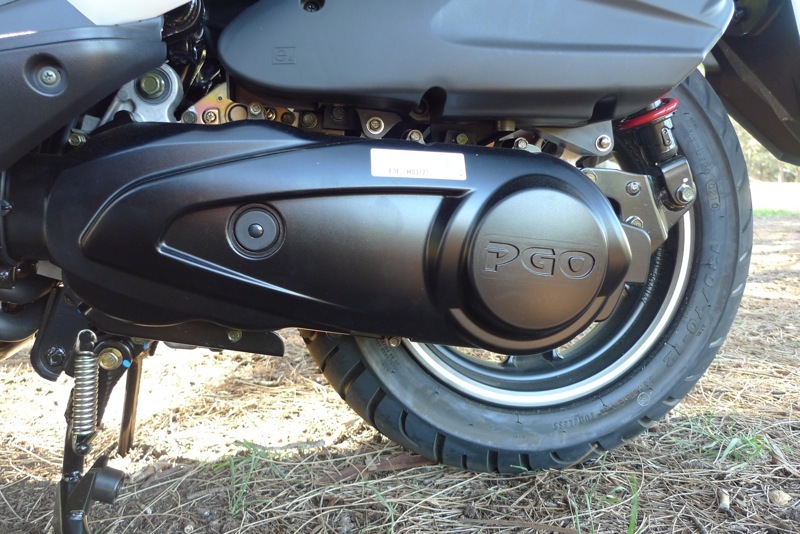 We take a look at the all new PGO X-HOT 150 Fi. In a sea of scooters to hit the Australian Scooter Market in recent times, one scooter stands out as a real head turner. The X-HOT 150 from PGO. The PGO brand is currently being reintroduced onto the Australian scene. Recently we checked out the cute Ligero 150, this time its the flagship of the range, the fuel injected X-HOT that retails for just under the $4000 mark. So is the X-HOT worthy of flagship status. We check it out. First and foremost the X-HOT has some kind of Mad Max influence going on here. From the two circular headlights that run vertically up front, to the battleship style lines, the X-HOT makes formidable viewing. Even your action packed super hero would be happy on this one. If ever you wanted to just "blend in" then maybe the X-HOT is not for you. Stand out in a crowd, start a conversation, turn a few heads, then the X-HOT could just be. Looking different is not the only asset. The X-HOT is actually full of premium features that certainly wouldn't go unnoticed on scooters further up in the price spectrum. The multi function digital dash is a real treat. Fully featured you tab through a series of modes from fuel to external air temperature. And because of the compact size PGO have been able to fit a fab looking set of bronze handlebars. Fully exposed "motocross" style they look an absolute treat, a real minimalistic feature that works. Hanging off the bars we have switchgear that is top shelf. The all alloy brake levers not only look the goods but also provide plenty of feel and grip. The levers match the bronze anodised look of the bars, its a nice touch. The front end styling is fully dominated by the headlights. Stacked vertically they provide a great stream of light when the sun goes down. Keeping in with the motocross theme the front elongated mudgaurd performs the duty of keeping dirt and grime from spraying up off the front tyre. The wheels are 12 inch spoked alloy jobs featuring white pin striping. The wheels are shod with good quality Maxxis rubber. The front forks look premium. Gold in appearance they wouldn't look out of place on any sports motorcycle. That quality look is only enhanced by the braided brake lines coming down to a wave disc and twin pot calliper arrangement. The cable for the speedo is being routed to the front wheel by two really nice red alloy clamps that wrap around the forks. On the rear again no short cuts, disc brake partnering two premium shocks. The rear taillight is one of those nice thin LED arrangements, matches the style and looks like it was meant to be. The X-HOT doesn't sit too high off the ground at around 790 mm. The underseat storage wont take a full face helmet upright but its still roomy, long and wide, just not deep. The seat is opened by the key via the ignition. The X-HOT does have one unique feature in the storage stakes. It comes with a handy cargo net that stretches across the flat floor area. A bag hook and a very handy "open to the air" glove box helps with storage duties. The fuel tank is positioned centrally under the floor of the scooter, great for a low centre of gravity. The filler is located up front and is opened again via the ignition. The ignition is one of those multi function types performing a host of duties. 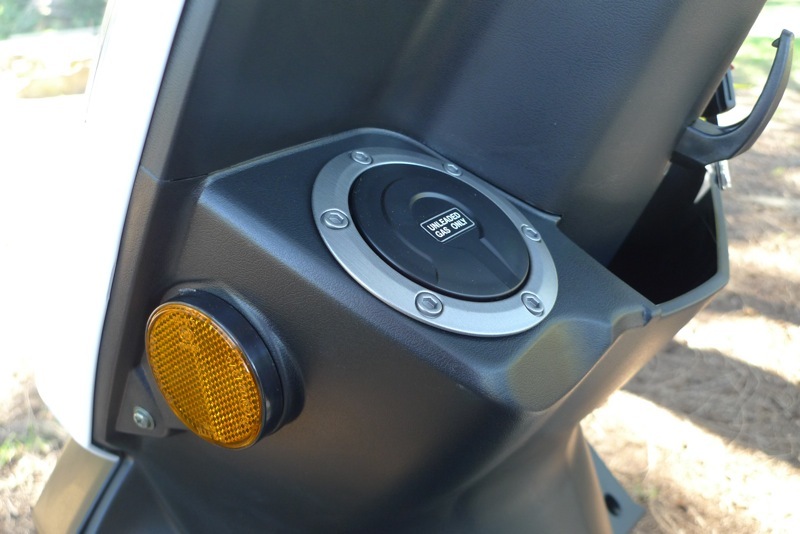 A unique security feature on the key allows you to protect the scooter from any untoward behaviour, locking the ignition and not allowing anybody to tamper if closed off. The engine is a 150 cc 4 stroke fuel injected unit that pumps out a hefty 9.2 Kw of power. The call for injection to meet stringent euro emission's standards is becoming all that more popular. The trade off for us users is a scooter that starts simply first time every time. Fuel injection also ensures a smooth linear acceleration from the get go. The engine also runs an oil cooler for enhanced performance in hotter conditions, also increases reliability. The grab rail at the back of the scooter fits the style, tubular and sturdy. The X-HOT comes with centre and side stands. There is also plenty of room to accommodate a passenger if required with the foot pegs being moulded as apart of the body. Our test scooter was fresh only having a few km's on the clock when we took delivery. Still the X-HOT performed admirably being able to hold 100 km/h cruising speeds in motorway situations. Top speed was nudging over 110 km/h with easy cruising between 90 to 100. You would expect this though from what is essentially a premium 150 cc scooter. But do expect more as the km's on the odo climb. Acceleration builds steadily and the torque is abundant. The fuel injected motor has plenty of power everywhere across the range. Its pretty smooth sailing and the specifications don't lie, all 9.2 Kw is here and ready to use. Seating is comfortable, flat and wide, combined with the motocross style bars you feel like your in the box seat and ready to perform. The body is tight, the suspension is compliant, the seating position is one of total control. Dynamically speaking the PGO X-HOT is competent, a really great handling scooter in every respect. A simple thought test for a sports scooter is what would happen if the chassis received a power boost, could it handle the extra performance? You could bump the power up on the X-HOT and change nothing, the chassis is solid, the suspension premium. Plenty of power from the brakes, you can feel the sensation from the braided lines. Those large motocross style levers only enhance the feedback and performance. The X-HOT reveals a true departure from the PGO of old and a vision into the near future. Its like a changing of the guard has taken place and PGO is on the hunt for some series street cred. The X-HOT not only looks well.... Hot, it also feels it. Poke and prod the X-HOT all over and you find a level of quality fit and finish that belies its price tag. It may be dearer then some but the quality is all visible and very upfront, in your face even. Performance is more then adequate for a 150 cc scooter and for daily city commuting with short motorway runs its more then capable. Reliability wont be an issue either, PGO are working hard on building a reputable quality product. So if the aim is to find a fun scooter package that enlists a great set of well thought out features then this is it. Or if your after a scooter that leaves nothing in the closet yet backs it up with a quality sum of parts, then this may be it also. The X-HOT answers the call to a number of different masters. Warranty is 2 Years with the 1st service at 1000 km's and then every 3000 km's after that. Select Scoota spends 5 Years at #1. 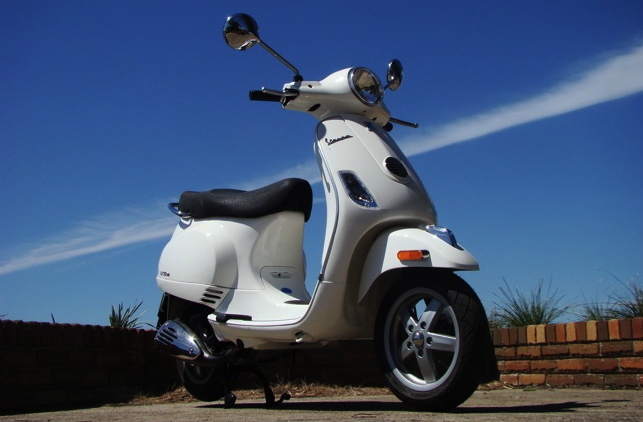 SYM Scoota are so proud of maintaining their number one position as Australia’s favourite brand for five years running! SYM was one of the main players at the recent European shows with a huge stand that drew large crowds. 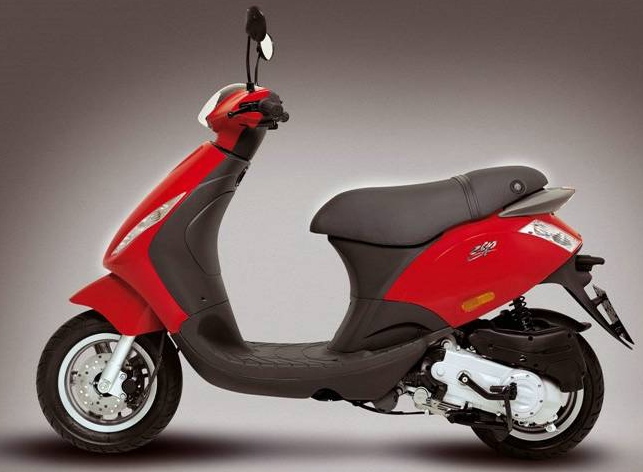 Being one of the largest manufacturers of scootas in the world and with an established reputation and place in the industry (SYM have been building scootas since 1962 and manufactures over one million vehicles a year), SYM are positioned to continue their success. 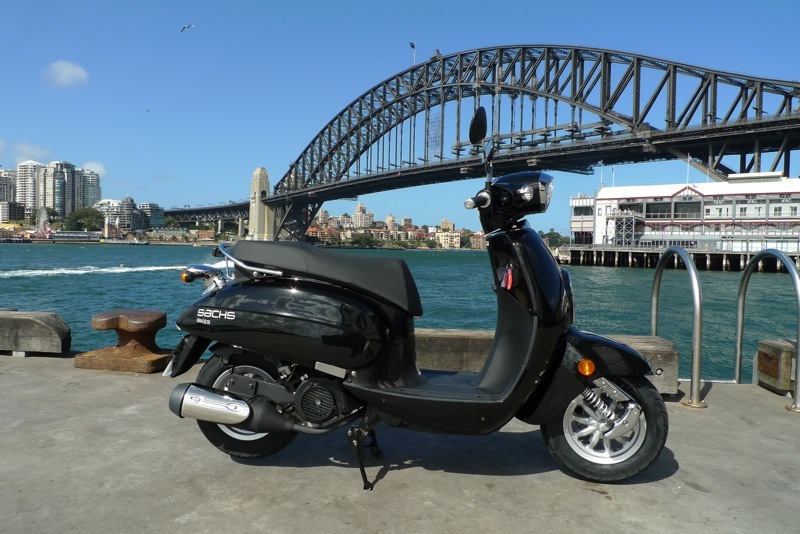 Select Scootas, the family business behind SYM in Australia, began importing scootas in 1999 and have grown in recent years with one of the largest ranges available; they pride themselves on having a scoota to suit anyone from an inexpensive commuter scoot through to luxurious cruisers. “At the moment we’re going through some changes, new models are on their way and we’re gearing up for a bumper season, it’s all very exciting!” said Hollie Black, Neil’s daughter and General Manager. “I believe the 2010 season will see growth again as petrol prices continue to skyrocket and public transport and congestion drive people crazy; it’ll be fantastic to see everyone zipping around on scootas!”. Happy scooting everyone and thanks for your support! 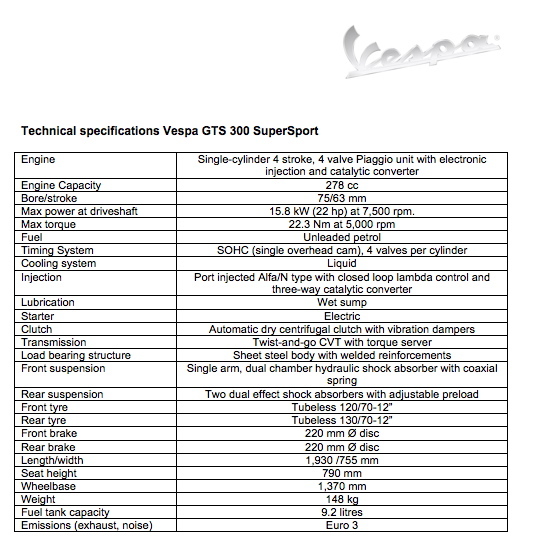 More information and specifications on the special edition GTV from Vespa. The GTV "Via Montenapoleone" is the latest version of the highest Vespa engine capacity ever produced, and underneath its more elegant vestment beats the heart of a 300 cc engine. The special and exclusive version of the extraordinarily elegant Vespa GTV draws its inspiration from the world of fashion, art and design, and is called the “Via Montenapoleone” in clear reference to the exclusiveness and elegance that distinguishes Vespa. Vespa GTV “Via Montenapoleone” shines in elegance by regaining and reinterpreting the elements of style most characteristic of the 1950's in terms of form and function. With an ultramodern, Euro 3 compliant and powerful 4-valve liquid-cooled 300 cc engine with electronic fuel injection, what sets the Vespa GTV "Via Montenapoleone" apart is the incredible tractability and exuberance of the engine. 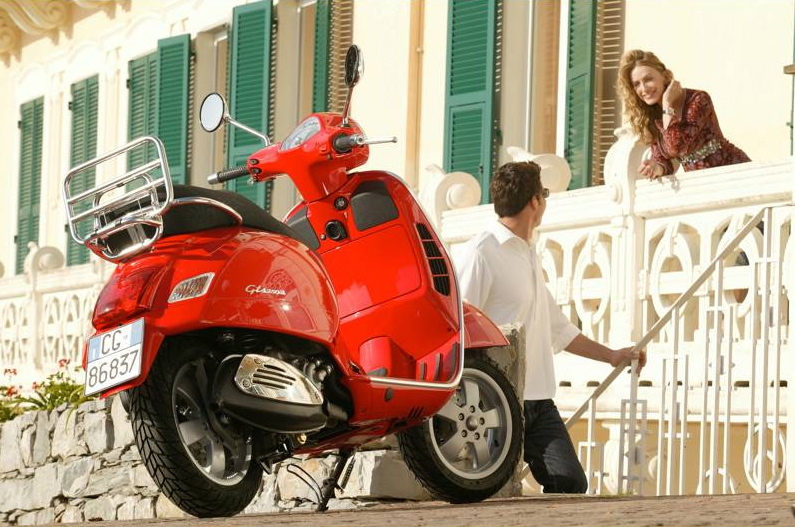 The sophisticated look typical of Vespa triumphs on the new GTV “Via Montenapoleone”. By reutilising the most significant stylistic and functional elements, the new Vespa model inspired by the "fashion street" is rendered unique and timeless. The position of the headlight assembly on the front mudguard that characterises the GTV "Via Montenapoleone is an explicit reference to the Vespa's origins. Just like the handlebar, which was distinguished by the simplicity of its exposed metal pipe. The 'naked' handlebar that appears on the “GTV Via Montenapoleone” however has a modern motorcyle-type look. The two-seater saddle is elegant and comfortable, and is made of eco-leather, and like on the original Vespas, it is even broken down into two separate and quite distinct parts; the elegant lining strip accentuates its graceful lines. The five-spoke wheel rims are now chrome-plated and enhance the brand-new "Via Montenapoleone" even more. A grille with horizontal slots stands out on the right side of the steel body: this typically “racing” touch is a reminder of the sports DNA of the Vespa GTV Via Montenapoleone. The “Via Montenapoleone” nameplate, that reminds the one of the famous street of Milan, identifies the most elegant Vespa, and by resting on the leg shield back plate at the edge of the glove-box, with the very first glance it reminds us of the uniqueness of this enchanting model. Engine performance has been increased to maximise pick-up and acceleration – essential qualities for city commuting. The engine capacity of the 4-valve single cylinder Quasar, with electronic injection and liquid-cooling, has risen to 278 cc with increased bore (now 75 mm) and stroke (63 mm). The new GTV “Via Montenapoleone" differs from the GTV 250 as its new engine delivers greater torque (22.3 Nm against 20.1) at lower engine speeds (5,000 rpm compared with 6,500 for the 250). On the road, these numbers translate into flexibility and pick-up from low speeds that are unequalled in this engine capacity category. Vespa GTV “Via Montenapoleone” thus gains the reputation as being an extraordinary vehicle for use in the city, where it is at its best. Vespa is the only scooter in the world with load bearing steel body – an exclusive design feature that has set Vespa apart from other two wheelers ever since the first model was brought out in 1946. 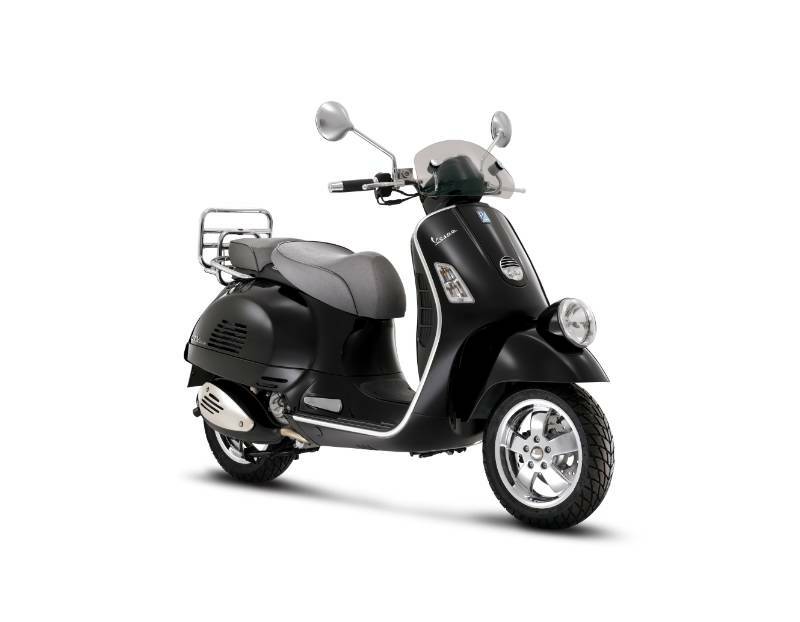 Put simply, the Vespa does not have a welded tubular frame clad with plastic panels. Instead it is the "body", made entirely of steel, which supports the engine and all the mechanicals. This design philosophy gives the Vespa superior rigidity (up to 250% more than a scooter with a tubular frame), resulting in incredible vehicle control and a legendary sturdiness. Within the body of the Vespa GTV "Via Montenapoleone", beneath the seat, is the fuel tank. In spite of an impressive 9 litre capacity, offering outstanding range, the tank does not compromise helmet compartment space or access to the engine once the helmet carrier, which can hold two demi-jet helmets, has been lifted off (no tools required). Complementing the rigidity of the body, the Vespa GTV "Via Montenapoleone" boasts a chassis architecture featuring 12” wheels shod with a 120/70 tyre at the front and a 130/70 tyre at the rear. The front suspension uses the classic link arm layout, a traditional feature in Vespa history with excellent dynamic functional characteristics: this system separates load bearing and shock-absorbing functions, resulting in neutral braking and offering an anti-dive effect beyond the mid travel point of the shock absorber. At the rear, two pre-load-adjustable hydraulic shock absorbers are fixed to the transmission crankcase and exhaust support. 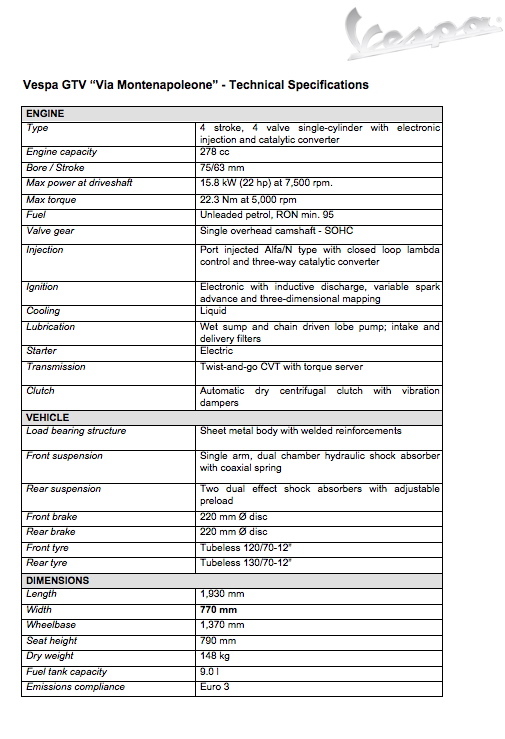 Updated information and specifications on the new Vespa GTS SuperSport. 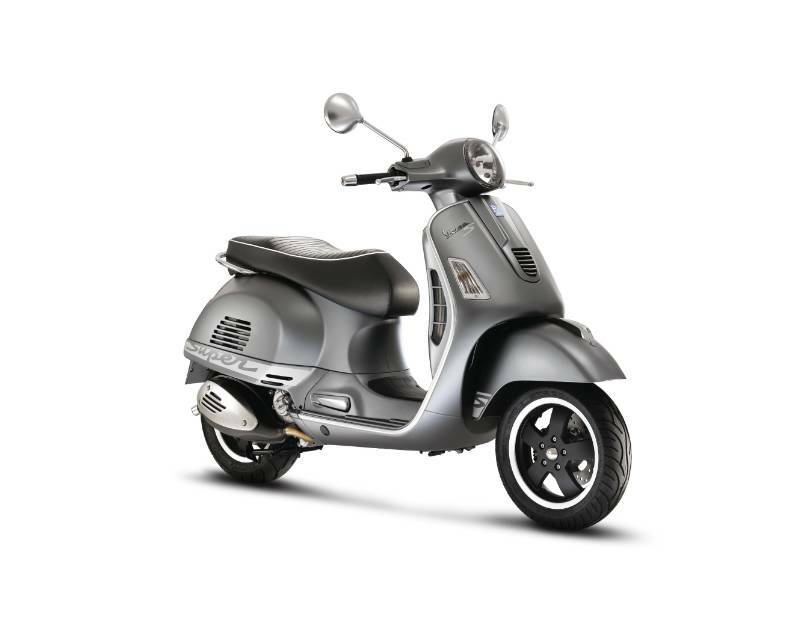 Vespa GTS Super epitomises the values of style, comfort, safety and sturdiness of the Vespa brand. The 300 engine - the most powerful Vespa has ever adopted – now also gives thrust to the new Vespa GTS SuperSport features. Even sportier and more aggressive, the brand-new SuperSport version was designed to be a pure object of desire: Vespa GTS SuperSport is elegance and sparkle, grit and power. Ever since its very first years of life there have been sporty versions of the Vespa, often used in speed road racing, and sometimes in major off-road racing events too. This meant that some tantalising racing prototypes were created, as well as the “6-day Vespa”, which consistently dominated the 1951 International Six Days, winning 9 gold medals. This road racing experience gave rise to the model that many people, to this day, regard as the most beautiful scooter in Vespa history:the 1955 Vespa GS, which was later immortalised in the film Quadrophenia, the Rock Opera by The Who, and ridden by a young Sting. Legendary names in the history of the most famous and – with over 17 million produced since 1946 – most widely ridden scooter on planet Earth. Today, the Vespa GTS SuperSport continues this outstanding sporting tradition which has defined some of the happiest years in Vespa history. This time Vespa has once again proven its talent for elegant sportiness, and is doing so by putting on a new guise of soft lines and glamorous accents all wrapped up without compromise to give emphasis to its sporty and youthful nature. A body with forms, details and colours that all express its enjoyable dynamism. 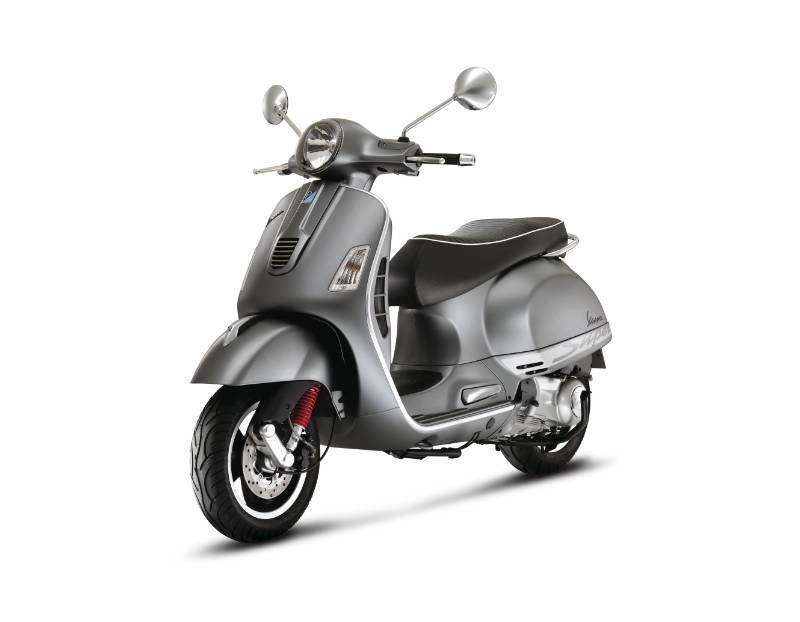 The Vespa GTS Super blends not just sportiness and performance, but distinctiveness and character too. Through outstanding design and technology, the Vespa GTS Super reinterprets a sports classic from the Vespa hall of fame. That is what the Vespa GTS SuperSport is doing as well, by toying with aesthetic solutions and new functions. 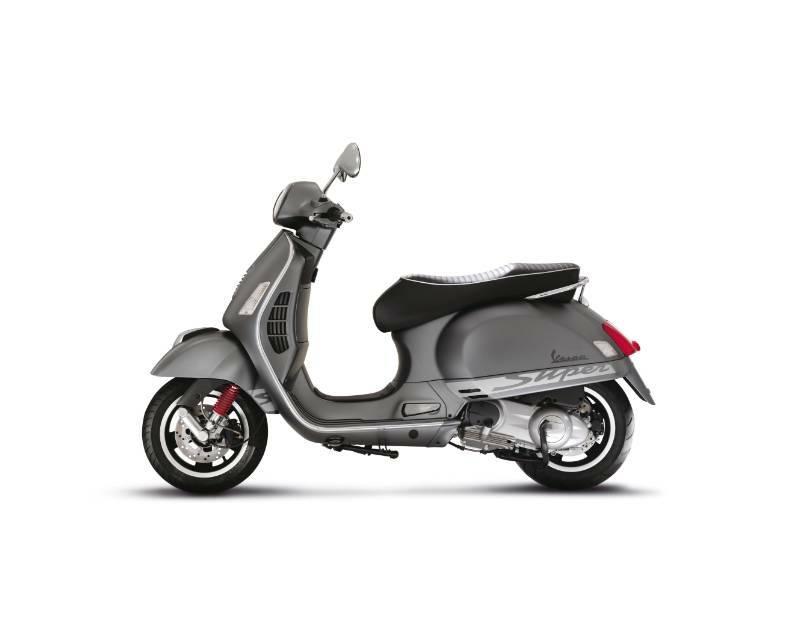 The original and gritty titanium grey colour of the steel body of the brand-new Vespa GTS SuperSport accentuates its design and solidity. The suspension gains a distinctive racing red finish for the front spring, a motorsports detail that makes the GTS 300 Super stand out from the crowd. 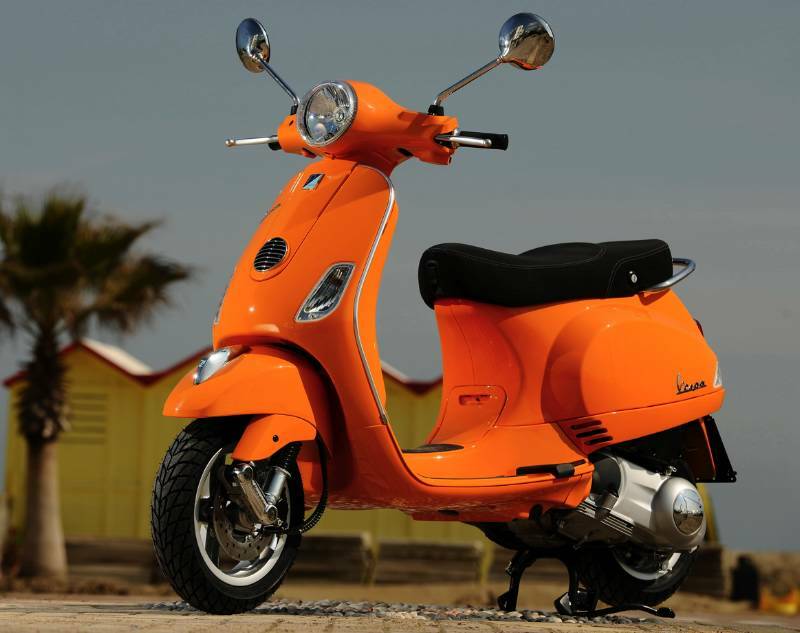 The latest Vespa version stands out at first glance, and from every angle. The original "SuperSport" nameplate is located on the leg shield back plate right next to the opening of the glove-box, while two burnished classic "Vespa" logo nameplates are on the leg shield and left side. 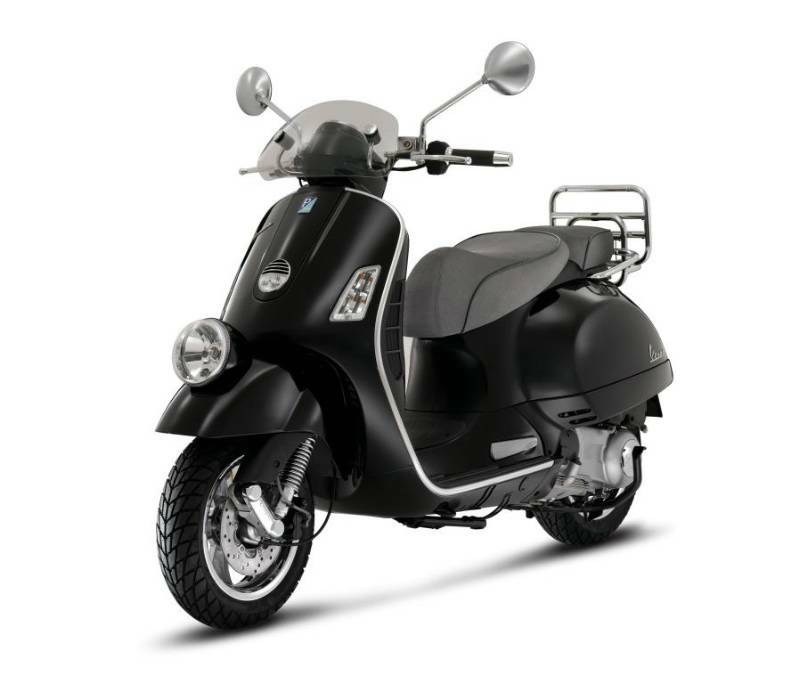 The Vespa GTS SuperSport is also distinguished by its extremely elegant seat that is also black, but made with heat seals. The result is a more comfortable and more aggressive seat definitely in keeping with the best sporting tradition. The GTS 300 SuperSport is an extraordinary urban vehicle and is characterised by its high torque level (22.3 Nm) reached at a low engine speed (5,000 rpm). Figures that on the road turn into tractability and pick-up from low speeds that are unrivalled in this engine class. Within the body of the Vespa GTS SuperSport, beneath the seat, is the fuel tank. In spite of its impressive tank holding more than 9 litres, offering outstanding range, the tank does not compromise under-seat storage space or access to the engine once the helmet compartment, which can hold two demi-jet helmets, has been lifted off (no tools required). Together with the rigidity of their bodies, Vespa GTS SuperSport is fitted out with a chassis architecture distinguished by 12" wheels shod with a 120/70 tyre on the front and a 130/70 tyre on the back. The front suspension uses the classic link arm layout, a traditional feature in Vespa history with excellent dynamic functional characteristics: this system separates load bearing and shock-absorbing functions, resulting in neutral braking and offering an anti-dive effect beyond the mid travel point of the shock absorber. At the rear, two pre-load-adjustable hydraulic shock absorbers are fixed to the transmission crankcase and exhaust support. The power brakes have a 220 mm disc both up front and in the back. 'Vespa Dollars' are the new currency for the savvy commuter! For a limited time only, Vespa is offering purchasers 'Vespa Dollars' when a new Vespa is purchased from selected models in the Vespa range. The purchaser has the choice of spending their 'Vespa Dollars' in store either on clothing, accessories or have their 'Vespa Dollars' taken straight off the price of their new Vespa!!! This offer ends 30th June 2010, so 'Pronto Pronto' into your participating dealer now and receive your 'Vespa Dollars' today! 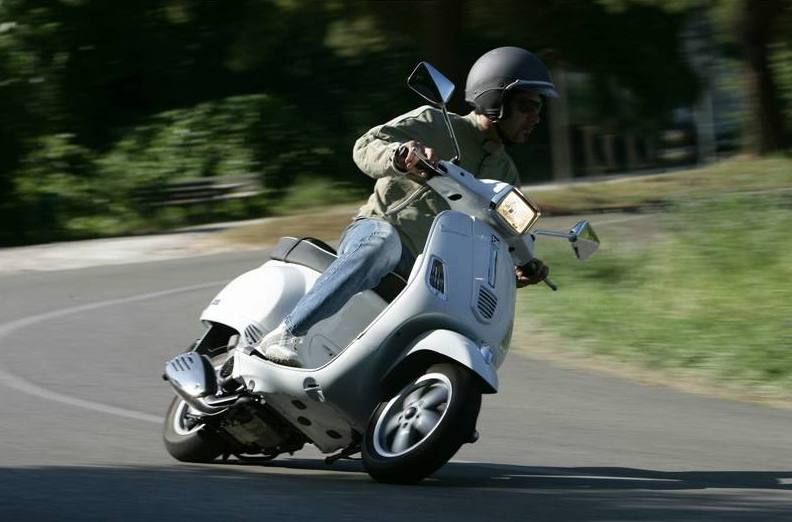 Piaggio remain top dog in scooters for the 1st quarter of 2010. 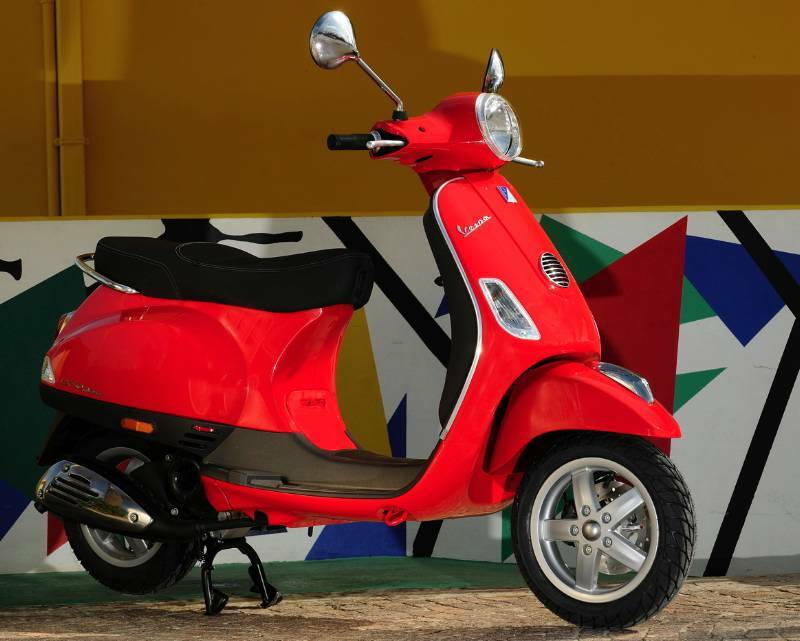 Piaggio have retained their top spot in the Scooter category (FCAI Report Jan - Mar 2010), with the FLY 125 taking out 1st position, 32 units ahead of its nearest competitor. Finishing off the first ¼ with a 40.2% increase over the same period last year, the FLY has continued to perform well in the sales stakes. Piaggio Brand Manager Simon Gloyne commented, "Having the number 1 selling scooter is fantastic but its also interesting that the Fly was also number 5 in the top selling road bike list... quite outrageously exceeding sales of all but three of motorcycling's big capacity touring and sports bikes. Clearly fuel economy, a low environmental impact and ease of use continue to be important considerations for today's savvy commuter". 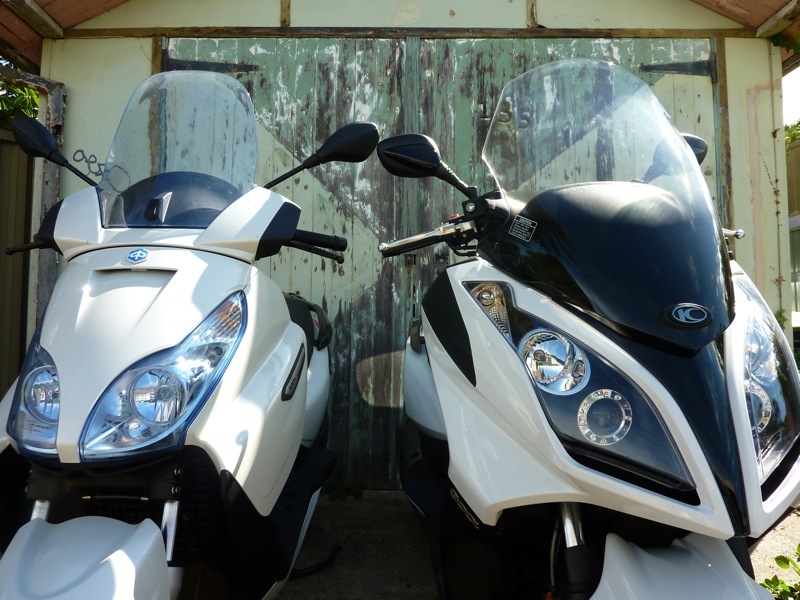 He added "And we've just replaced the Fly125 with the more powerful Fly 150 and at the exact same price. That's great value". 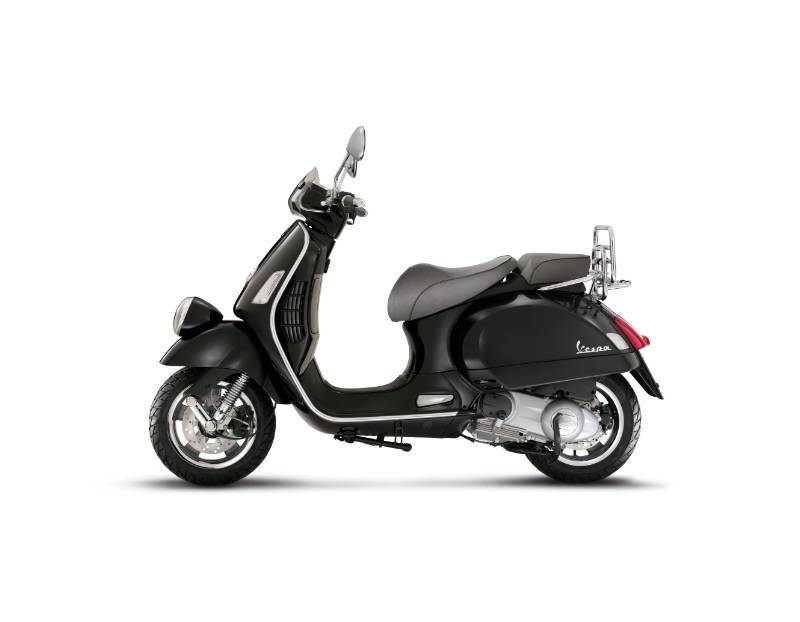 Piaggio also had two other top ten placings with the Vespa LX 150 in 5th position and the Piaggio ZIP 50 in eighth place. MLP for Fly 150 is $2990 plus ORC's. Industry Body FCAI releases sombre sales update for the 1st quarter of 2010. "Soft start to the year for motorcycle sales"
Official figures released by the Federal Chamber of Automotive Industries (FCAI) show that 23,211 motorcycles, scooters and all-terrain vehicles were sold in the first quarter of this year – a decrease of 12.2 per cent (3,215 units) over the same period in 2009. “This has been a slow start to the 2010 sales year with a uniform decline across all categories,” FCAI Chief Executive Andrew McKellar said. “We have yet to see any turnaround in the marketplace since sales softened some 18 months ago,” he said. “Despite the overall softness of the market there have been some brands, particularly some premium ones, that have shown improved performance,” Mr McKellar said. “It’s hoped the next quarter will provide some renewed growth,” he said. Yamaha claimed the top position with 4,604 sales, followed by Honda with 4,021 and then Suzuki with 3,074 sales. Probably two of the hottest 300cc class scooters to hit the market in 2010.